What do you get when a large group of artists, writers, talkers, drinkers and creative types get together on a Thursday night to share art and ideas, as well as copious amounts of alcohol? A hot mess and/or a world class party, of course. 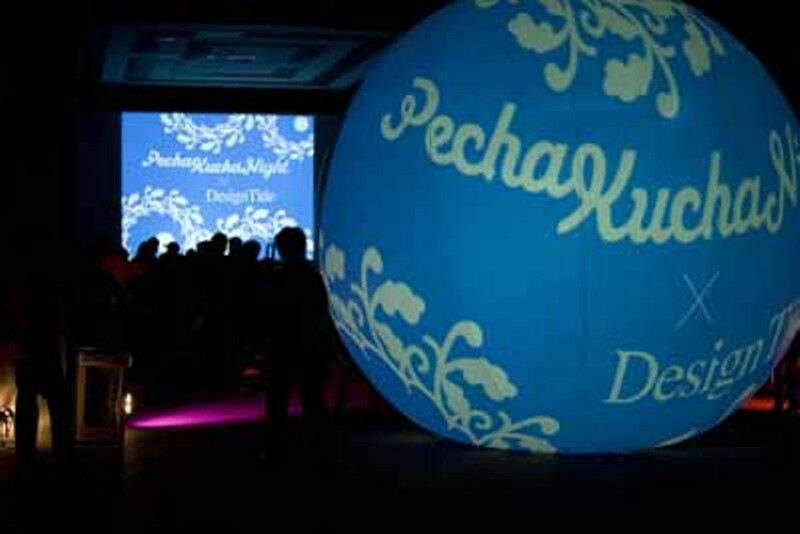 Thousands of others across the globe do it all the time and Charlotte will have a chance come Sept. 25 when Pecha Kucha rolls. This underground art/social movement held in basements, galleries, theaters and garages in cities around the world may be the perfect answer to the inexplicable inferiority complex this city seems to suffer. Finally, a supremely good reason to party and make the rest of the Southeast take notice of us for reasons that have nothing to do with banks or race cars. At a Pecha Kucha (pronounced pet-cha k-sha) soiree, artists and art-inspired individuals have an opportunity to show 20 images, at 20 seconds per image on any subject they want; no subject is off limits. It's a no-holds-barred event with lots of debate and social interaction (and drinking) playing a major part in the merriment. The mandated looseness of the event might prove difficult for this city, but the group responsible for bringing it here will do their best to ensure it doesn't morph into another wine-and-cheese snooze fest. 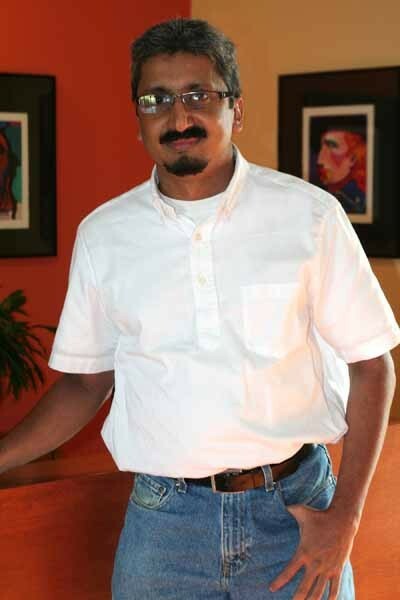 Lead by Point 8 Forum and it's unofficial point man Manoj Kesavan, the local American Institute of Architects chapter and faculty from Winthrop University, Pecha Kucha Charlotte hopes to showcase a varied selection of artists in a wide realm of mediums. Other gatherings have presented slides on homemade tattoos, motorcycles, neon light art, black-and-white photography and more traditional art forms. "This is about finding a new way to look at and communicate different, creative thoughts," says Kesavan. He, like many other artists in this city, hopes to see a cross section of participants at the first event. "You don't have to be a painter or sculptor to join in," says the Charlotte-based architect, who adds that he hopes to hear from more "outsiders" than traditional known artists in town. "There are some people who don't fit our Point 8 Forum," he says. Kesavan is referring to the monthly discussion forums he and other colleagues present that are often topic-driven and, unlike Pecha Kucha, sometimes very structured. To some, the six-minutes, 40-seconds time limit might feel restricting. Kesavan begs to differ. "The limited number of images forces you to be creative and say what you need in a concise way." Event host Douglas Welton will ensure that artists keep to the schedule and don't babble on. Recognizing the need for a venue for emerging artists to express themselves, two Tokyo-based architects came up with the Pecha Kucha concept (Japanese, for chatter) and with the time-limited format as a way to control the ramblings of artist types. Freedom of expression took flight. Artists are free to say what they want, whether it be contentious, outrageous or otherwise. Some might play upon the current political climate while others might take their opportunity to get up on an artistic soapbox. "Some artists are activists," says Kesavan who thinks it wouldn't be unusual or unheard of for some to make strong statements given the chance. Kesavan hopes Pecha Kucha will stir more than just interest and give the artistic community a stronger voice. "Evidently, the mere presence of a large number of people does not constitute a community. And the sum of all their work does not add up to become a 'culture' ... If there is anything resembling a creative community here, it is insular -- a subculture quite isolated from the majority of the populace. No amount of creative output will become a part of the culture until it is integrated into the larger society. Conversely, great art requires an enlightened audience, a demanding and challenging culture." Spoken like a world-class citizen. Charlotte Pecha Kucha Night kicks off Sept. 25 at 7:30 p.m. at Petra's Piano Bar & Cabaret (1919 Commonwealth Ave.). For more, visit www.point8.org. ART FOR ART'S SAKE This exhibition explores the idea that an art object is best understood as an autonomous creation to be valued only for the success with which it organizes color and line into a whole. Opening reception Aug. 1, 6 p.m.-9 p.m. Aug. 1-29. Charlotte Art League, 1517 Camden Road. 704-376-2787. www.charlotteartleague.org. ROBIN Y. ZAVADA EXHIBITION Aug. 1-30. City Hall Rotunda Gallery, 155 Johnston St., Rock Hill, S.C. 803-328-2787. www.yorkcountyarts.org. JO ROBINSON The exhibit will display a small collection of sculptures and paintings. Aug. 1-31. Main Gallery. The Art House, 3103 Cullman Ave. 704-962-9700. www.thearthouse.biz.